Facebook has also added a feature for admins who use the Page to Watch feature. For those who aren’t using it, the Pages to Watch feature on Facebook Insights lets admins see some of the metrics of pages that are similar to their own. According to AllFacebook, there will soon be a feature called Post to Watch, that will show admins when a similar page has a post that is producing a lot of engagement, along with the ability to easily see the post. This feature will help admins keep up with important news in their industry that may be relevant to them and their consumers, and it shows what kinds of content is producing good engagement with their target audience. The decision to end automatic posting, along with raising the minimum amount to originally boost a post, fits in with Facebook’s stated goal of reducing the amount of unwanted posts that users see in their feeds. Both moves will work to reduce the overall number of posts that companies promote, and make them focus more on selecting the best posts to promote. To facilitate this selection, Facebook is also making changes to the ad manager interface. Marketers should take note of the things Facebook is doing to reduce spam. 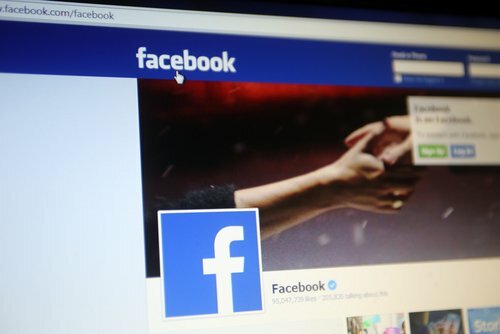 Facebook has said they will begin to reduce the reach of posts they say use “like-baiting” techniques. These are posts that asks user to Like or Share in ways that Facebook considers inappropriate or spammy. The changes to layout don’t require social media marketers to greatly change their content strategy for Facebook. Though things will be rearranged, all of the business information, apps, etc. that businesses had on their pages before will still be there. The images are larger, the increase is relatively small and proportional, so any images that met the criteria before are still acceptable for the most part. The exception to this will be for marketers who once took advantage of the Highlight feature that existed when there were two columns. Now that there’s only one column in the layout, business owners can’t post double-sized images that spanned most of the screen. A final, but relatively minor thing that businesses should consider is that the new page design means that fewer of their posts will be immediately visible to viewers. When the new layout hits a business page, viewers will see about half the posts they would have seen before because there’s only one column instead of two. This means that readers would have scroll longer and load more posts to see things from a couple of months ago. Since pages load slower the farther down someone scrolls, it becomes less likely that users will see older posts. If nothing else, this means that marketers may need to repeat key messages more often than in the past and not rely on people being able to easily see old posts. Facebook’s changes may take some getting used to, but in the end it will most likely be better for marketers. Tweaks that reduce the amount of spam posts and delivers more relevant content to users makes the platform more valuable to marketers, not less. And while Facebook has promised to give users a more relevant News Feed, they have also given marketers the tools they need to be a part of that experience with high-quality content.